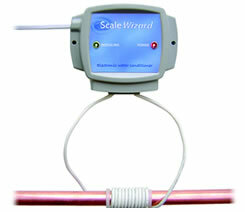 Scalewizard is a small, electronic unit which is easily connected to the rising main and a suitable power source. 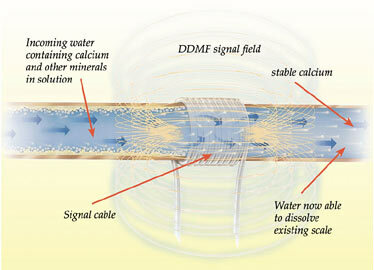 Once connected, it emits a computer modulated signal which actually changes the properties of the calcium crystals which normally form scale. The electronic disturbance of these crystals stops build up of scale by preventing them from adhering to each other. There are no chemical changes to the water content which will retain beneficial minerals and taste the same.